In addition to the new iPhones, Apple’s finally taken the wraps off its highly-anticipated wearable device during the invite-only press event held Tuesday morning at the Flint Center for the Performing Arts in its hometown of Cupertino, California. 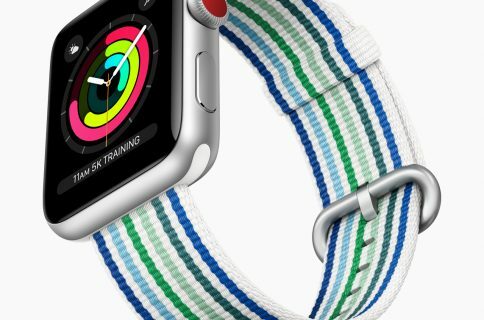 They’re calling it the Apple Watch and it files as the first truly category-defining product released under Cook’s leadership after Steve Jobs’ passing. 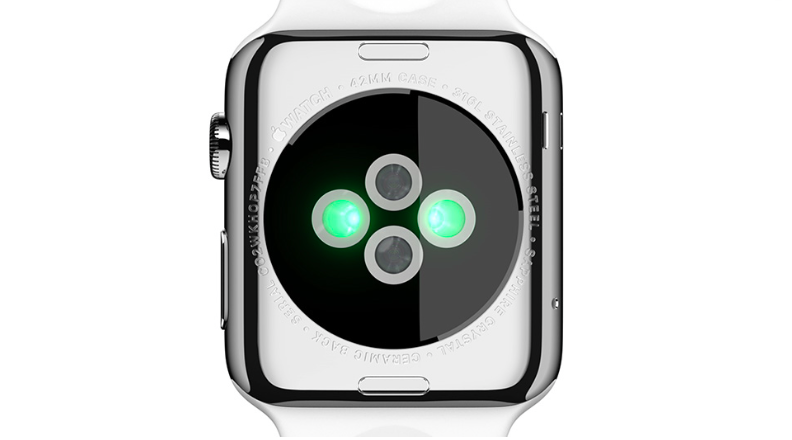 Billed as a companion device, the Apple Watch requires an iPhone to function. For example, the device uses the GPS from your iPhone for location services. It’s also waterproof, has a wireless inductive charger and features Apple’s MagSafe connector. 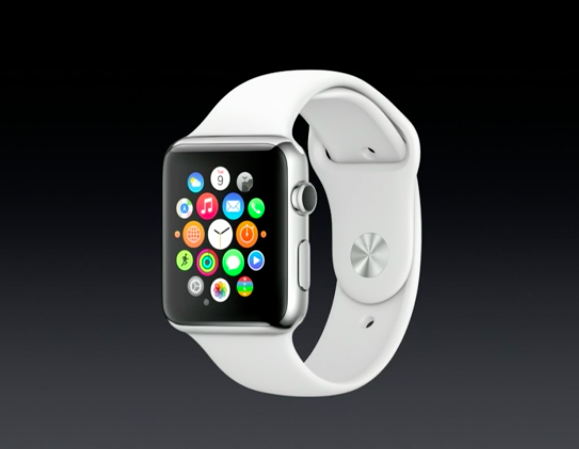 ”Apple Watch is the most personal device we’ve ever created,” said Cook. ”It’s also a comprehensive health and fitness device,” added the CEO. As expected, the device features a number of sophisticated sensors on its back which read health and fitness data from your wrist. Featuring a square display with the rectangular bezel and curved edges, the stylish device sports circular user interface elements. It syncs to the universal time standard and features interesting “new intimate ways to connect and communicate” from your wrist. 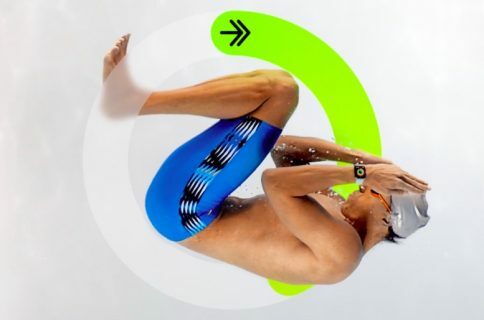 And just as Apple created the graphical user interface for the original Mac, the click-wheel on the iPod and the Multitouch user interface on the iPhone, they have now rethought what interacting with wearable devices should be like. It’s programmable so you can set it to zoom in and out on a map, scroll a list and what not. Pressing the crown takes you to the Home screen and raising your wrist (yes, the Apple Watch has an accelerometer sensor) turns on the display automatically. Swipe from the bottom to access a new feature called “glances,” basically a miniaturized Today view from iOS 8 with a plethora of customizable widgets for stuff like calendar, weather, music and more. Its sapphire-strengthened screen responds to touch and lets you swipe through the Home screens, respond to notifications and so forth. Notifications will be initially relayed from your iPhone, but developers can use a new WatchKit to create watch-optimized actionable notifications with glanceable information. Even better, the multitouch screen is pressure-sensitive so it can register events like a tap or a press — they’re calling it the Taptic Engine and it also produces subtle vibrations on incoming alerts. A press — or “force touch” in Apple’s parlance — lets you customize the device with a bunch of differently styled watch faces, including the Mickey Mouse one. As expected, Siri is one of the defining features of the device, allowing you to ask all sorts of questions, dictate to the watch to reply to messages and more. Messaging capabilities rely heavily on new iOS 8 features allowing you to send voice replies through iMessage, quick reply with dictation or custom animated emojis or by choosing between tappable answers based on the message itself. Apple Watches can communicate between themselves, allowing you to send content to a friend’s device, like drawings (yes, you can jot down notes on this thing), medical data such as your heart rates (with the receiver actually feeling vibrations which match your pulse), etc. The Apple Watch comes in silver, gold and white and is available with six different straps, including a soft, quilted leather loop, a supple leather strap with a clasp, a stainless steel strap and more. Speaking of which, even the strap attachment mechanism behaves in a typical Apple fashion as straps click in with a specific kind of slot. To recap: the Apple Watch is provided in two sizes and three finishes and offers multiple bands that can be customized further. Check out an additional few press shots below. 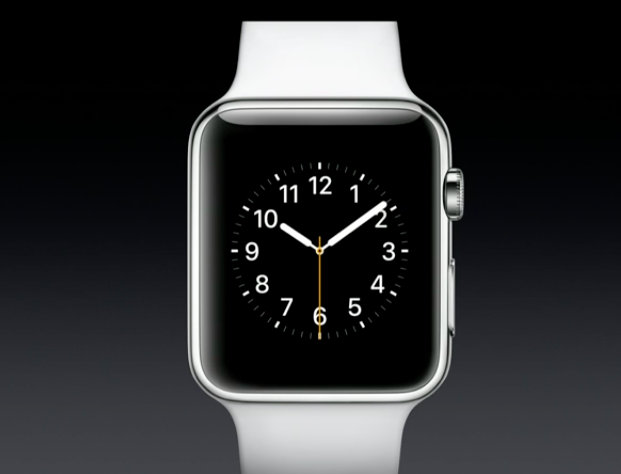 Oh, and the Apple Watch comes in two sizes — optimized for men and women — with the matching straps. 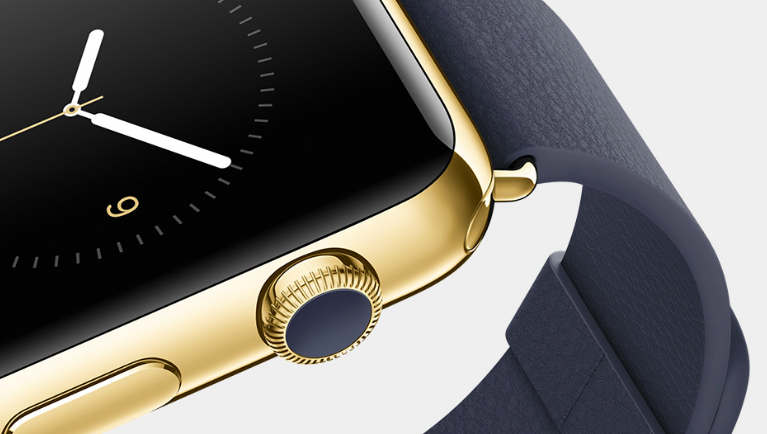 And if you don’t fancy the normal editions, Apple also has an 18-karat gold version. So this is the product that will be a make or break for Tim Cook. 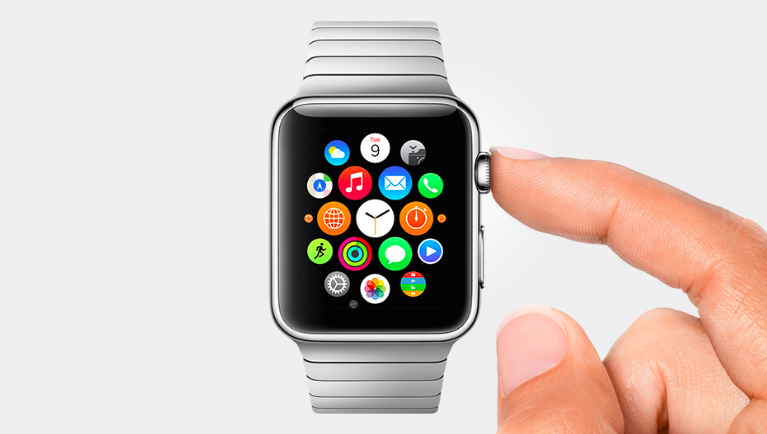 Last but not least, the Apple Watch taps iCloud for seamless synchronization. The photos you favorite in the stock iOS 8 Photos application on your iPhone, for example, just show up on your Apple Watch. There’re also stock Fitness and Workout apps and a miniaturized Apple Maps app with turn-by-turn directions and different vibrations depending on whether you should turn left or right. And yes, there will be an Apple Watch App Store of sorts because Apple is going to allow third-party development for the watch. Some of the more interesting example third-party apps Apple showed on stage include Twitter, Pinterest, MLB, Honeywell, Nike, a BMW app for finding your car keys, an airline flight information app and another one which lets you unlock your hotel room door by waving an Apple Watch (SPG hotels only) and more. The device also doubles as a walkie-talkie and doubles as wrist-worn viewfinder for the iPhone’s camera — how cool is that? In case you’re wondering, the gizmo works with the Apple Pay mobile payment system so you can pay for groceries by tapping your wrist. 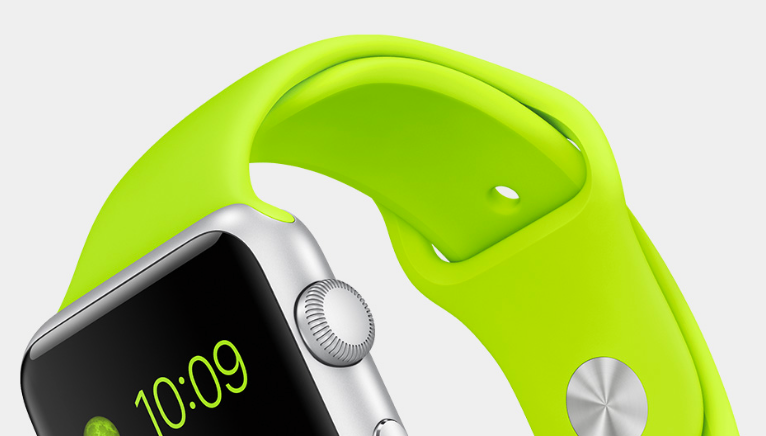 The wearable device starts at $349 and will be available in early-2015. “And it is worth the wait,” Cook added. 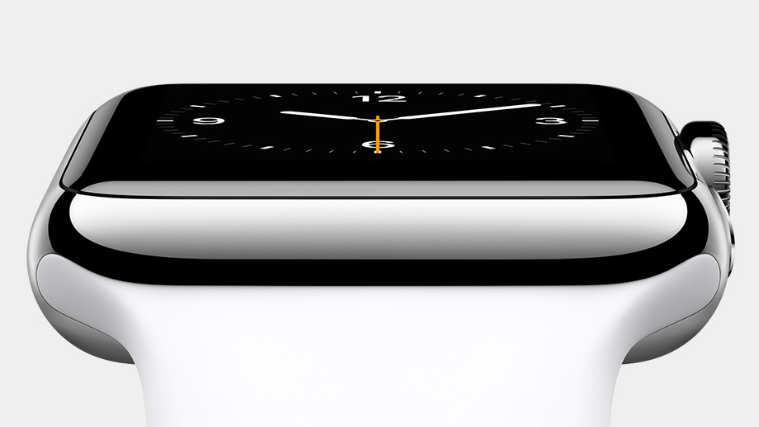 ”It will redefine what people expect from a watch,” he added. 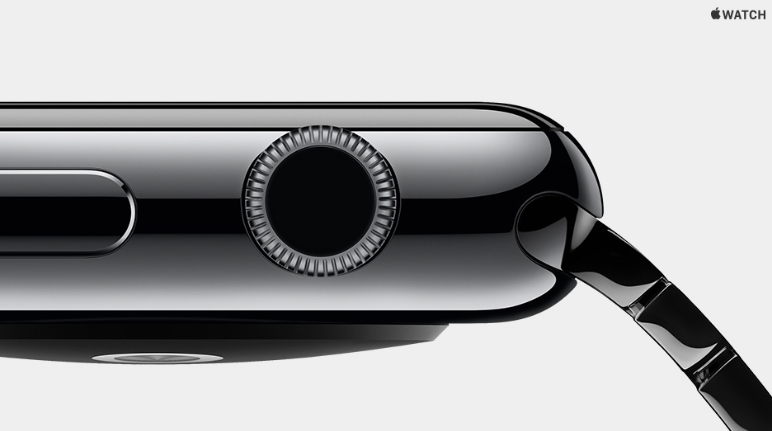 Note that Apple is positioning this thing as a smartwatch rather than an all-encompassing wearable object. 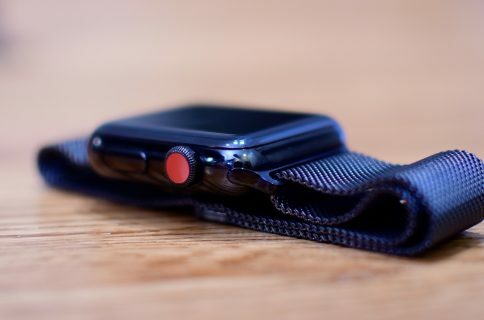 It’ll come in three versions — the Apple Watch, Apple Watch Sport and Apple Watch Edition — and work with the iPhone 6, iPhone 6 Plus, iPhone 5, iPhone 5c, and iPhone 5s. Curiously, the company did not talk about the Apple Watch battery life nor did it address connectivity features (Wi-Fi/LTE?). 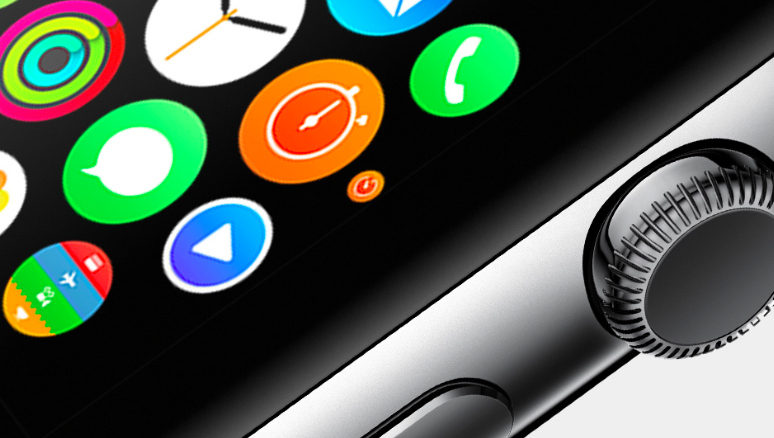 How do you like the iWatch so far? Did it impress you enough to consider purchasing it? Between a laptop, a phone and a tablet, is there a room for another new-category mobile device in your life, do you think? 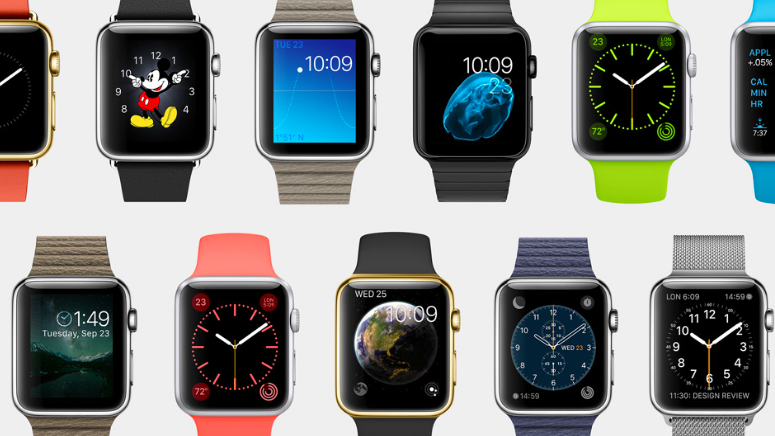 For more info, check out Apple’s website as it gets updated with new products soon.